Dr Bowen says: “It is going in well – it is very dry of course. Growers are moving into some of their last fields on heavier land. We are getting some questions about rolling. If it is cloddy it is good to roll to get good seed-to-soil contact as there is pressure on moisture. Norfolk grower Kit Papworth completed drilling in just six days, despite starting two days later than planned and says this year’s conditions were the best he has seen for many years. He says: “We are three weeks ahead of last year and this is probably the best start to the season I can remember. The beet has gone in near on perfect. Growing 200 hectares, this season Mr Papworth has reduced his sugar beet area by 10 per cent compared to last year due to a drop in price, which he says has led many other growers to do the same. Aphids could be a particular problem this season following mild weather in recent weeks, according to Hutchinsons agronomist Darryl Shailes. Kevin Irlam Mowbray, area manager for Monosem precision drills, says, despite good drilling conditions, the forecast cold weather is a concern as crops need to get up and away from aphid attack as quickly as possible. Lincolnshire grower Andrew Ward is trialling a small area of direct drilled sugar beet this year across his lighter land. 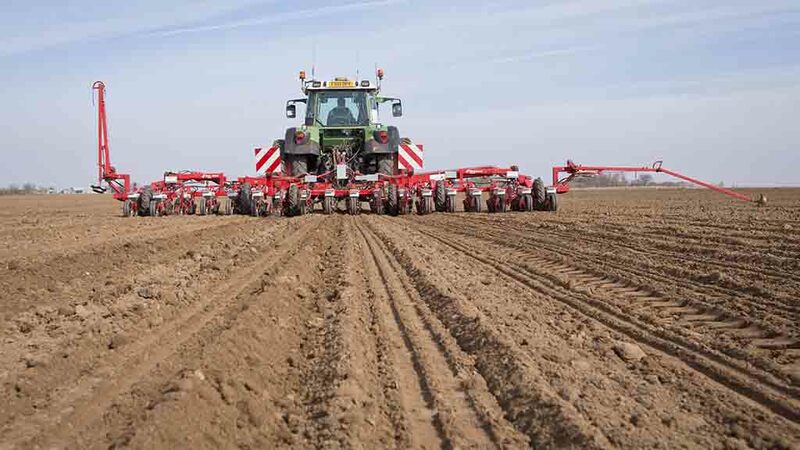 The undisturbed soil meant seed went into a moist bed in good conditions, with the remainder of the field being drilled under a minimum-tillage system after the plough was ditched in 2002, says Mr Ward.